Essay originally published December 2011, after a study abroad sojourn in Athens. Greece: financial crisis, the edge of default, Euro near collapse, the brink of bankruptcy! Or we flip through travel magazines and immediately gasp at the sight of white Cycladic houses, jaw-dropping views of an intoxicating blue sea, mouthwatering baklava and gyros. Beyond tourism or mixed messages, I’d like to take a step back. I want to disassociate myself from the media, noise and discourse concerning Greece. Instead, I'd like to dedicate this article to the Greek value system which I positively experienced as a student, family member and observer. Why did I leave my heart there? Love is openly expressed. Nobody needs to compete to feel loved. There is no rat race to be run. There’s no need to cover up pain, happiness, affection, or anger. There is no excess, no commercialism and never a dull moment. Greece harbors sunny skies and sunny people, even through dark times. The Greeks continue strong for over 2,000 years, even having seen war, tragedy, and foreign invasion… and what do they say? Iconic Erechtheion, Next to the Acropolis. When you visit Greece, it will move you. Mark my words. Family ties are strong, and regardless of a crisis, people stick together. Food is shared and enjoyed slowly. Friends fight to pay the bill. Strangers are welcome—in Greek, philoxenia. Hospitality is so ingrained that it’s as involuntary as breathing. 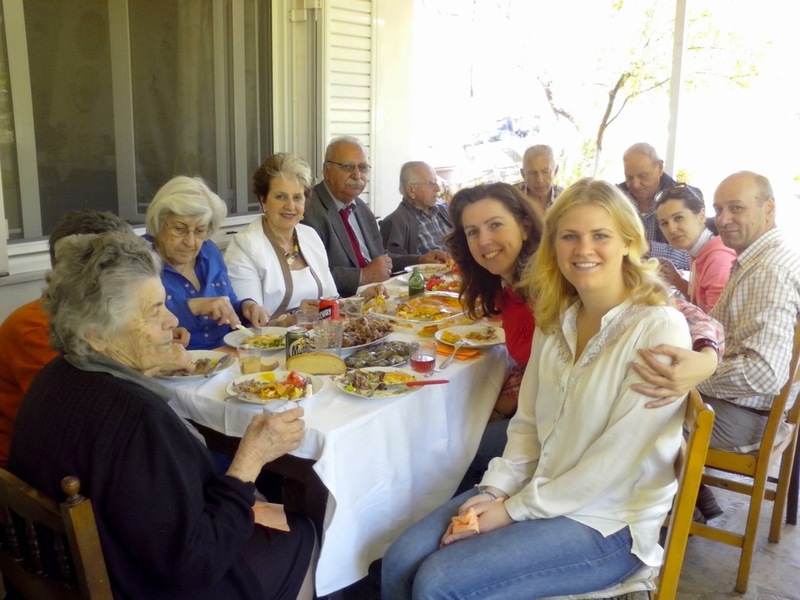 With good food, good company, and family, life can feel so rich in Greece.